B.S., Labor Economics, Ohio State University; J.D., Ohio State University Moritz School of Law (Moot Court Governing Board; Phi Delta Phi Legal Fraternity). James W. “Bill” McCord has practiced in Los Angeles since 1971. He represents institutional and individual clients in employment, professional liability and complex business litigation matters. In addition to his litigation practice, Mr. McCord provides advice and counsel to employers regarding employment practices and policies. He enjoys an AV-Preeminent rating by Martindale-Hubbell peer review. Mr. McCord has been a lawyer for 49 years. After graduation from OSU Law School in 1966, he served as a Special Agent in the FBI for five years. Upon leaving the Bureau, he commenced practice in Los Angeles. Over the years, Mr. McCord has been a named partner and managing partner in several firms, including a Chicago-based national firm. He has tried over 40 jury trials and handled countless arbitrations and mediations. 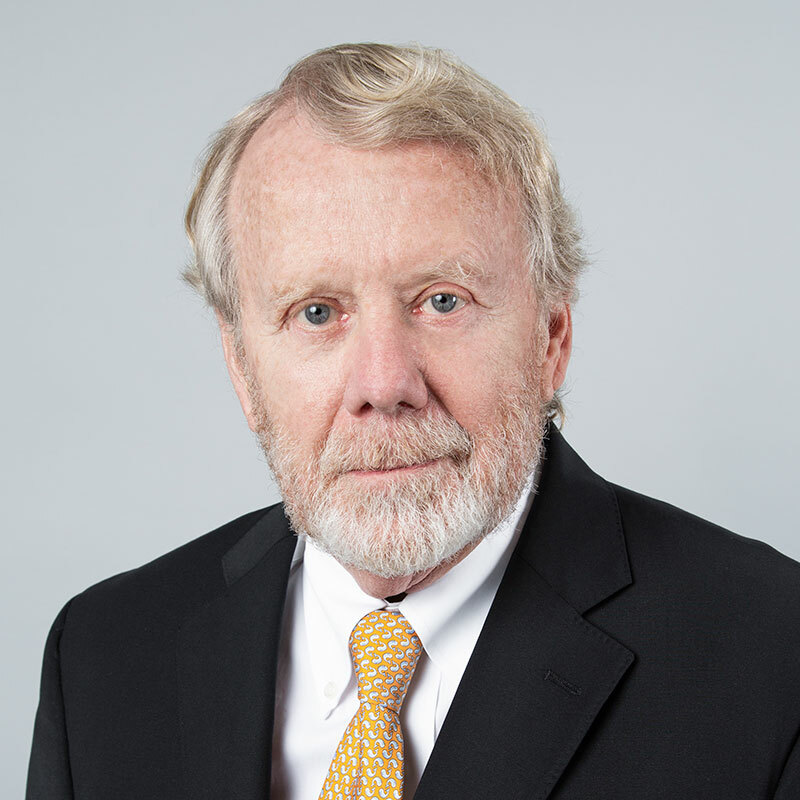 Mr. McCord has authored successful briefs in reported appellate cases and has served as a volunteer Judge Pro Tem and court-appointed mediator in the Los Angeles County Superior Court. Currently, Mr. McCord’s practice emphasizes the defense of professional liability claims and employment-based claims. While most of his practice is the defense of litigated matters, he consults and advises several employers with the goal of avoiding litigation. In his leisure time, Mr. McCord is an outdoorsman. He is also a brand new grandfather.